Every week brings a new car model into focus. And somehow all of them are termed as ‘A Great Driver’s Car’. That terminology is very subjective, however. Sometimes, we are talking about the speed while other times it is the ease of handling. Mostly the salespersons and motor journalists use it as a marketing gimmick. Something that might instantly grab a lot of eyeballs. But in reality, the definition of a great driver’s car is highly subjective. Someone looking for an affordable purchase with simple controls would be miserable with the latest Ferrari Mythos. 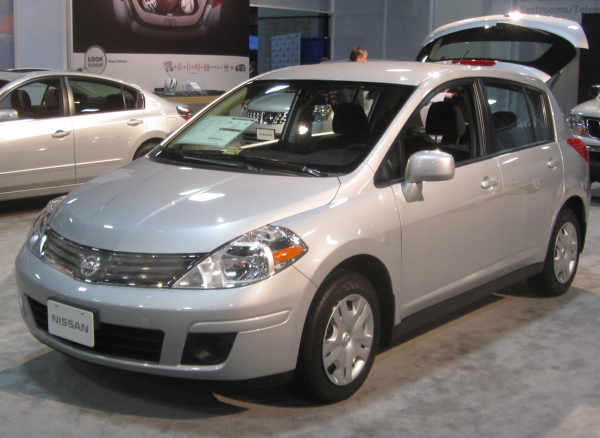 For them, the highly affordable Nissan Versa S Sedan is what fits the bill of their ideal car. 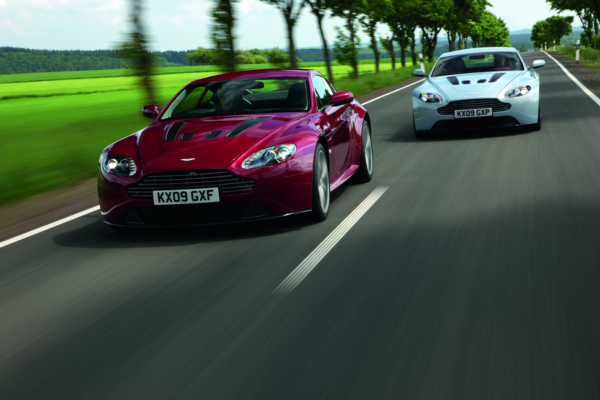 The set of preferences decide which car is suitable for a particular group of people. But ultimately it is the level of utmost satisfaction that the car owners get with their purchase is the deciding factor. We know that we have ended up with the most suitable car as per our requirements when every drive becomes a joyful and comfortable experience. In each section of cars, there are some that are the obvious choices. Whether you are looking for the flashiest, fastest, cheapest or the most eco-friendly car models; there will be top few contenders in each category that will stand out. The car enthusiasts and journalists together work on exploring the potential of the latest releases. It is only after a thorough examination after countless drives that they post their results for the world to see. To make this process more transparent, this group of people includes the people who are there to examine different aspects of the same vehicle. Their examination process and rating scheme widely differ. But when a latest released car model is put through this extensive examination routine, the results are bound to be precise. Then, if the car gets their seal of approval, we know that is actually ‘A Great Driver’s Car’. Everyone has their own definition of a dream car. Mostly it is a variation of the Batmobile but some of the descriptions tend to be more realistic. A number of factors can be included that ultimately act as the deciding factor when it comes to defining a car as a ‘Great Driver’s Car’. The Internet is not kind on a lot of brands but even the toxicity of this world wide web cannot stop the people from fawning all over the Nissan GTR. It is one of the most popular car models at present and somehow manages to effortlessly combine performance with ease of handling. The whiplash-inducing launch control and neck breaking grip are some of the key characteristics of this model that makes it the hot favorite among people across the globe. No matter what kind of rough terrains it is subjected to, its computer-controlled mechanics will steer you clear of any lag in performance. Even the laws of physics cannot deter the Nissan GTR from minimizing the driving troubles and maximizing the performance statistics. The ease and comfort with which it accomplishes each and every drive make us admire it even more. Whether we are driving on a smooth endless road or a rocky terrain, the handling of this model is always going to be effortless. Sometimes the handling is so easy that we start missing the fun of exploring the challenging roads. The sensor network fitted within it does a good job of keeping the car right on track. Whether it is a powerslide or any other temporary obstacle, the Nissan GTR makes sure that its performance is nor hampered much by it. The wanderer in you might want drift sometimes but the advance computer systems within this vehicle administer the journey in a no-nonsense manner. The simple and easy handling of this car coupled with the power-packed performance makes it one of the best selling car models on the market today. But it might not be the best fit for those who crave to be always on the edge of adventure. 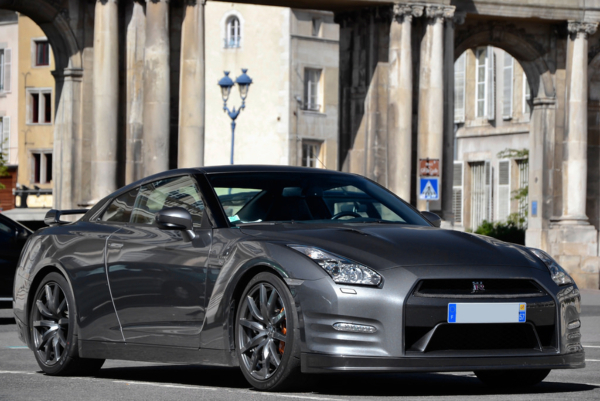 With the Nissan GTR, you might be in the driver’s seat but you still didn’t feel in charge. It is great when your hands are full and you need an almost self-driving vehicle experience. But not so much when you are out on a solo drive and want to explore those roads less traveled. This is where the Lotus Exige S1 comes to your rescue. And it does so by giving you the control of every single thing within the car. You will be able to experience every twist and turn that this vehicle goes through. It makes you feel that you are the captain of this ship on the road. And sometimes it is that control which makes us want to take that relaxing drive after a long exhausting day. It has got the 1.8L Rover engine which pumps out 177 of horsepower. But it is the way the entire comes alive as soon as our hands touch the steering which grabs attention the most. We are able to feel every change of the gear, the vibrations rippling through its metallic body and the rest of the details. There is a sense of total control over the vehicle that we get along with the Lotus Exige S1. There are a number of other factors too that make it one of the most desirable car models at present. This list includes it being extremely tactile, rear-wheel drive, manual gearbox, atmospheric engine and lightweight body. All these attributes together make it a steal in its present price bracket. Every single driving experience in this vehicle is bound to spoil you for any other car. This because of the highly automatic and connected data cyber age of today, even when you are driving it is hard to exert this kind of control. There are cars that are easy to handle and smooth to drive. And then there are the ones which are just exceptional provided that we know how to drive them in the first place. Being a rear wheel drive, tactile, manual, normally aspirated and lightweight is few of its top-notch features. Stunning inside out and a pure joy to drive are what makes it a dream come true forever motor enthusiast. There are not many vehicles that come close to the incredible driving performance that this particular model is known for. But in order to enjoy that spell-binding experience, we need to be well-acquainted with its working first. It is not difficult to handle or a stubborn piece of junk. But, it also does not offer that snooze-worthy driving experience either where every control of the vehicle is almost autonomous thus leaving you bored even when you are driving at a neck-breaking speed. 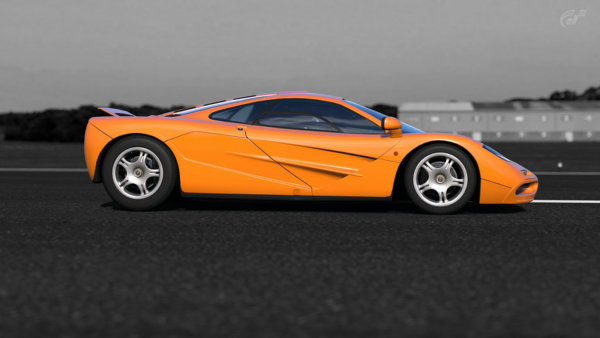 With the McLaren F1, we need to have polished driving skills to tame this automobile powerhouse. It has no patience for the newbies. If we are not able to listen patiently and respond to the various inputs that its carefully crafted system feeds us then we might find ourselves stuck in a dangerous maze. Hence, it is advised to get behind these wheels only when we are completely sure about our driving skills. We need to be able to keep track and control all its parameters to perfection while on the road. And if we are able to do that then it will be surely become our best driving experience till now. It is one of those cars that one has to drive once in a lifetime to feel what its like to actually steer a real car with a raring engine and mind-blowing experience. But to be able to enjoy it fully and in a harmless manner, skillful driving is very important. The mainstream media has made the brand Ferrari synonymous with speed. We think of a mechanical version of the lightning fast cheetah when we think of Ferrari setting the roads on fire with its speed. But there is a lot more to this incredible automobile feat than just the supersonic speed. With turbocharger engines, we get only the ultimate driving experience every single time. Popularly known as the turbo, they are famous for pushing the increasing the total output power and overall efficiency of the vehicle. They perform this task by forcing extra air into the combustion chamber. These turbo engines add that certain desirable texture to the whole driving regime. Next comes the turbo-lag. It is yet another incredible feature that has come to be associated with the Ferrari models as of late. The time difference between mashing the throttle and getting that power rush is known as the turbo-lag. The accelerating off-boost generated from the turbo-lag stays a novelty for a while. We often want to experience that suspense build up and the ultimate power rush when we first get our hands on this model. This is one of the most popular features of this extravagant vehicle. 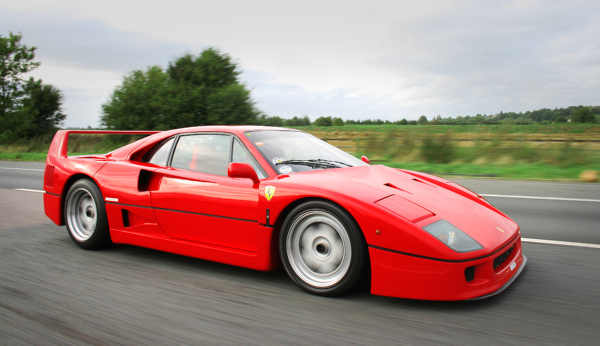 It is not just the speed and the turbo lag that makes Ferrari a legend among the automobile giants. The highly responsive set of controls also play a key role in putting it at the pinnacle of the automobile industry. We can control each and every aspect of this vehicle with the help of its highly sensitive control panel. The rear end of the Ferrari 40 might have been a nuisance to control. But the tactile set of control on its body makes it possible to prevent its rear catapulting with uncontrollable amounts of power. With a powerful engine and robust metallic structure like this, we need this level of responsiveness. Till now, we have gathered that irrespective of the target audience, there are certain factors that are present in every dream car/a great driver’s car by default. And these are being lightweight, presence of manual gearbox, rear-wheel drive, and highly communicative operation. The latest offering from the house of Aston Martin seems to be ticking all those boxes except the one where it is required to be lightweight. This is the vehicle that has redefined the set of requirements and made a heavyweight vehicle like itself the need of the hour. Now we know that the many benefits that come along with this car model cannot be fitted with a petite model. Sometimes we need a heavy casing to include all the amazing features that we want in our dream car. And the added protection coverage further makes the extra tonnes all the more important. This model weighs around 1.7 tonnes. But this weight is carefully distributed all over the structure such that the final machine turns out to have a taut and organized layout. Nothing about this car is bulky. From the controls to the manual gearbox, everything is made to function in the most precise manner possible. The manual gearbox with a total of 6 precise settings is known to give that elusive driving comfort that this range of cars is known for. Oversteer biased steering makes it impossible for us to drift away in those frequent cases of understeer. We just need to signal the 6L naturally aspirated V12. This will ultimately bring the 520 howling horsepowers to our rescue in no time. The easy and effortless handling that comes with this vehicle makes it possible for us to listen to everything that it wants us to pay attention to and respond right on time without any confusion. It comes with the family car angle that makes it an instant hit in most of the households. The tough exterior makes it a smart choice for the smart soccer moms who don’t want to compromise when it comes to the safety of their family. Thankfully none of the models in this range come with that outdated minivan exterior that does not seem appealing in any way. The metallic glossy exterior makes it possible to transition easily from a drive with the entire family to a weekend with just old college buddies. The versatile look and feel of this car make it an instant fit for every event. Its heavy-duty tires are created in a way to help us glide through the bumps and puddles on the rough roads seamlessly. The roomy interiors and all-weather traction are the highlights of this model. It saves us a lot of trouble with its Goldilocks sizing. This means that it is big enough to seat as many as eight grown-up people. But it is also small enough to get you easy parking opportunities. 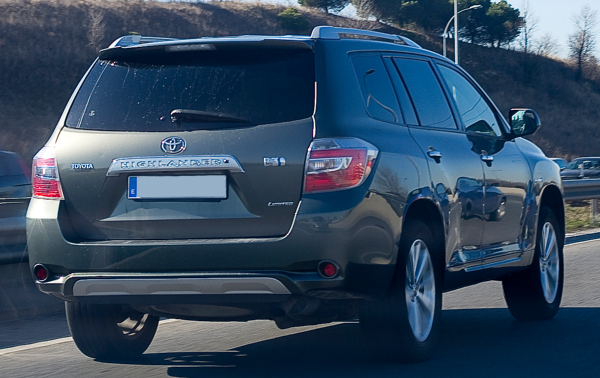 Fuel economy and high reliability further make its case as an amazing family car. The recent models have further improved on the fuel economy and power front. The advanced safety features have also become a default for this range of vehicles. All these features together ensure that every single drive in it is going to be a carefree experience. This mid-sized SUV is what you need even if you are going to use it just by yourself. It will make sure that you never run out of space no matter how many friends you keep on adding to your list for the next big adventure. And the impressive fuel economy will have your back every time. It is a good bargain for those who want to enjoy the benefits of a luxury vehicle in an affordable price tag. It is at present resides at the top of its class of vehicles. 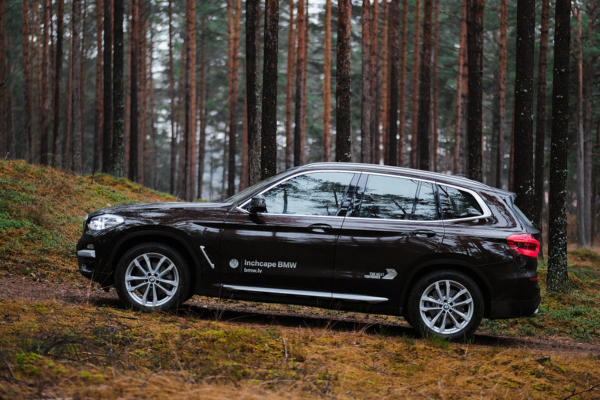 The BMW X3 is a luxury vehicle that fits all the comforts of a compact SUV. It is an appealing package that includes a lot of amazing features such as the high utility, amazing driving experience, comfort and slick technology. This car comes with a base turbo four-cylinder engine. But there is no lag in acceleration or any other performance factor because of that. If we want then we can upgrade to the 355-hp M40i for making the entire driving experience truly magical. Driving down the roads with many twists and turns brings its sharp and sporty handling to good use. As soon as the gas pedal is pressed, the power is rendered almost immediately without much lag. To tackle those uneven roads, this vehicles comes with a firm suspension. This helps us to enjoy a smooth drive no matter how many ditches come along the way. This way we are more confident while driving down in trying whether terrain conditions. The complimentary user-friendly infotainment system installed within it further accentuates its appeal. Its operation is extremely quiet and it is richly appointed too. Highly supportive seats make the entire drive a highly comfortable experience for everyone sitting within it. 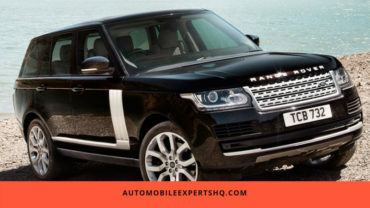 This is an upscale SUV that has been designed to provide that luxurious driving experience in a relaxed manner. Affordability, ease of use and the overall brilliance are few of the many reasons that will make you inclined towards this specific model. 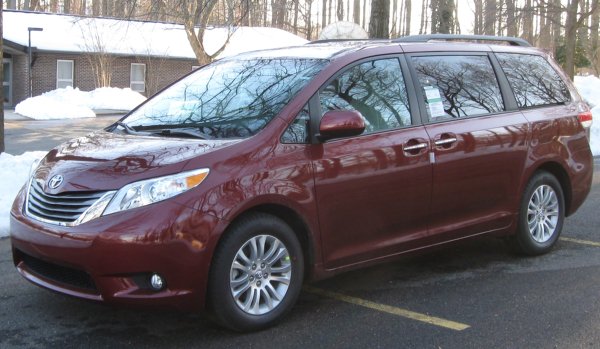 Minivans used to be that dorky cousin that no one would talk to during the annual family meetings. But the Toyota Sienna is the one that becomes too cool to even hang out with the likes of us after hitting that well-timed growth spurt. Everything about it has been revamped according to the current requirements of the market. But the roomy and comfortable essence of this model is still very much there. You can drive it to carpool without worrying even a bit about the space. It can be your companion when you or your best friend is moving out and needs to move some luggage to the new location that will be called home. It comes off as a highly energetic powertrain that gives you full worth of every cent invested with its exemplary fuel economy. It gives roomy seating space for a total of eight people and there are folding seats available too just in case your circle get a bit bigger. Unlike the unsightly detailing of the past models, you are in for a pleasant surprise with this model. Only the finest fabric has been used for the interior furnishing with luxurious accents. When we go for the top line limited versions, we get the second-row lounge seating complete with the very much essential footrests. Till now, it has shown an undeterred reliability record. This makes it all the more suitable for a family or neighborhood vehicle when the focus is more on safety and comfort. Minivans have also been the vehicle of choice for the responsible and savvy parents. It comes loaded with various safety features calibrated to the latest standards thus offering that next level safety to everyone on-board. The cabin is spacious and well-crafted thus making the interiors match perfectly with the upgraded and stylish exteriors. 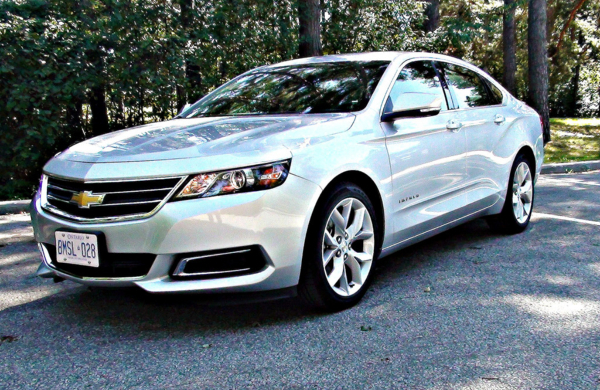 While talking about large cars, it is impossible to miss out on the Chevrolet Impala. 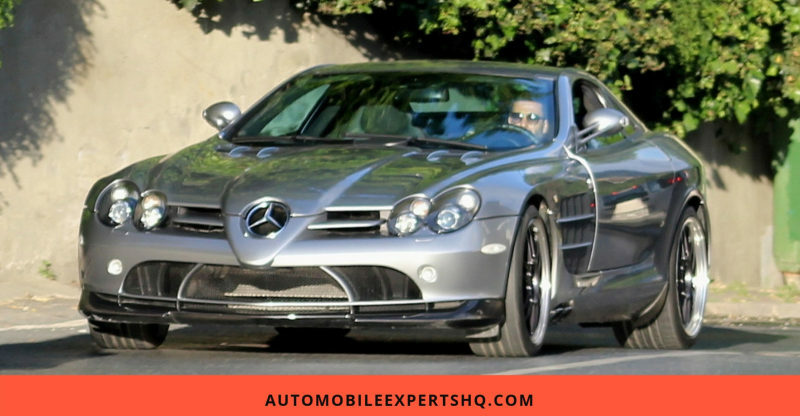 It is famous for being one of the most luxurious big cars that perform on par with its luxurious counterparts. But thankfully it can be ours at just $39,110. Its affordability is not the only thing that makes it stand out in the current range of amazing cars. The entire cabin within it is quite spacious and dressed in the best of high-quality materials with that fancy trim. The silent operation further adds to its appeal since we all prefer that smooth and calm operation when we are cruising across the uncharted territories. It comes with an infotainment system that has all the features that we are used to until now and a lot more. The advanced characteristics of this model also comprise of the user-friendly and highly intelligent controls. We got the best of spacious and comfortable seating arrangement with the front seats. And the rear end seats are well proportioned with sufficient legroom to make every journey a memorable one. The rides are smooth with no sign of shaky or bumpy traveling experience. Sharp handling has been put through the accident-avoidance maneuver and it passed with flying colors. The V6 engine lends abundant power that this vehicle might need while traversing rough terrains. With the very affordable price tag of $39,110, this becomes a worthy and smart buy in the present market. It has got one of the highest customer satisfaction ratings and the road test also came out to be quiet impressive. Even in case of the tricky corners it has performed amazingly thus making it one of the smoothest and finest drives in the current range. In a segment populated by the best cars in the industry, the one that definitely makes the heads turn for all the right reasons is the Audi A4. The brand has been an institution of unparalleled performance until now. And even now it continues to bring only the best from the automobile sector for the public use. The look and feel of this model is a mix of sporty, luxurious and all-around polished that makes it a hit among people with different tastes and preferences. It has something for everyone and that is why people think twice before dismissing it as their potential next purchase. The handling could not be more convenient and secure with the driver being in control of the entire vehicle at all times. This makes it possible to encounter minimum body roll and get total control of every section of the vehicle while on the move. The turbocharged four-cylinder engine is responsible for giving the car that instant power boost. But that in no way means that we have to pay dearly for the fuel in the process. The fuel efficiency is commendable and the numbers make us appreciate this purchase even more. The interior cabin is known for that classy and polished look. The controls are laid out in a sophisticated and clean layout thus giving the car that modern-day look. A range of special safety features can also be found in its setting. This includes the city-speed automatic emergency braking along with the standard forward-collision warning. Front seats are extremely comfy while the space in the rear end is a bit snug. Overall, the vehicle has been designed in a way to give us abundant space, control, and comfort whenever we happen to find ourselves behind the steering. It is not easy to pick a single car and term it as the mythical ‘Great Driver’s Car’. It means different things to different people. However, there are a few characteristics that are of prime importance to every car buyer. We have tried to include and explain top ten of them with a fitting example in the above description. This brings us to the end of this article. Did you find this content used in any manner? If yes then do forward it on your socials so that your friends and relatives can also benefit from this information. Strike up a discussion about this very topic in the comment section below so that we can know your perspective on this topic too.